This post guides you how to recover lost or deleted data after factory reset on iPhone X, 8 Plus, 8, 7 Plus, 7, 6S Plus, 6S, 6 Plus, 6, 5S, 5c, 5, 4S And 4. If you had set your iPhone backup to iTunes, restore lost mobile data from iTunes backup. Make sure you are using the latest version of iTunes. If you have iCloud backup of your iPhone, restore lost data from cloud backup. 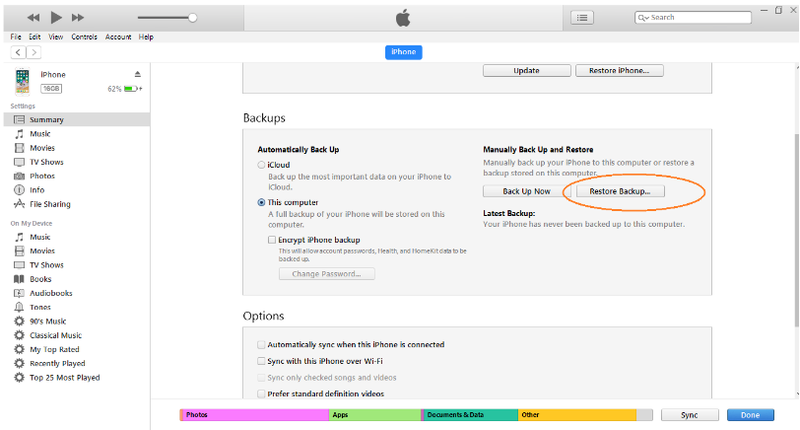 iCloud backups of iPhone include almost all data and settings of the device. Contacts, Calendars, Notes, My Photo Stream, and iCloud Photo Library, that are already stored in cloud. It may happen that your iTunes recovery could not be completed or you failed to restore complete data from iCloud. Therefore, an iPhone data recovery software is the safest way to retrieve complete data from backup in such situations. The major advantage of iPhone data recovery through Stellar’s iCloud/iTunes backup feature is that it lets you to selectively recover data rather than restoring everything from Notes, Safari Bookmarks, Call history, Calendar, Reminder, Voice Memo, WhatsApp Attachments, Viber, Tango, WeChat, Line, Kik, Apps Library, photos, videos etc. Choose version you need and start your free trial here. You can choose and restore only that data from the backup, which you want to have in your iPhone after Factory Reset. Stellar Data Recovery for iPhone is available for both Windows (Windows 10, 8.1, 8, and 7) and Mac (OS X 10.8 and above).